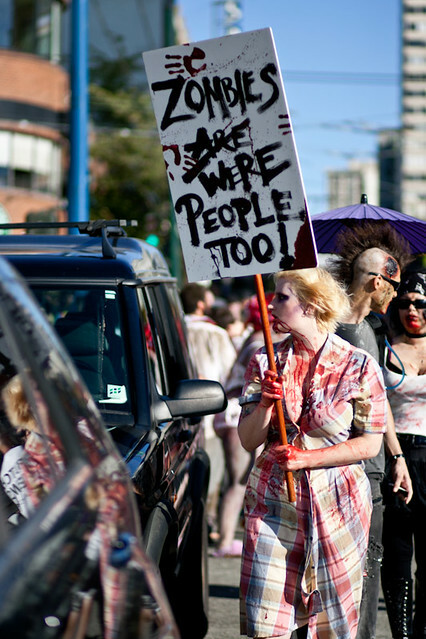 Those who enjoy dressing like the undead will have plenty to do this weekend as two zombie walks take place in Metro Vancouver. 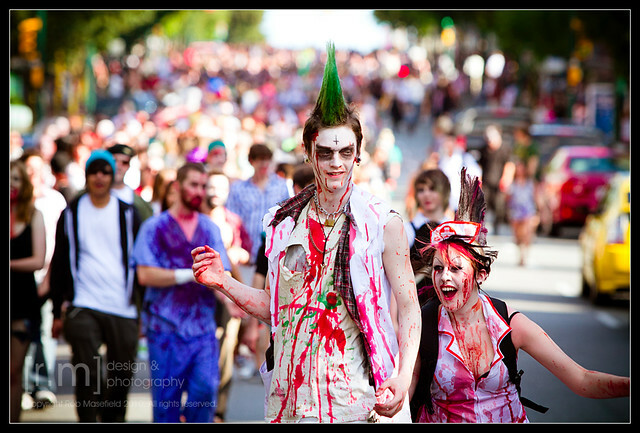 The zombie walk in Vancouver will be first, starting out from the Vancouver Art Gallery on Saturday morning while White Rock hosts its fourth annual zombie walk on Sunday. 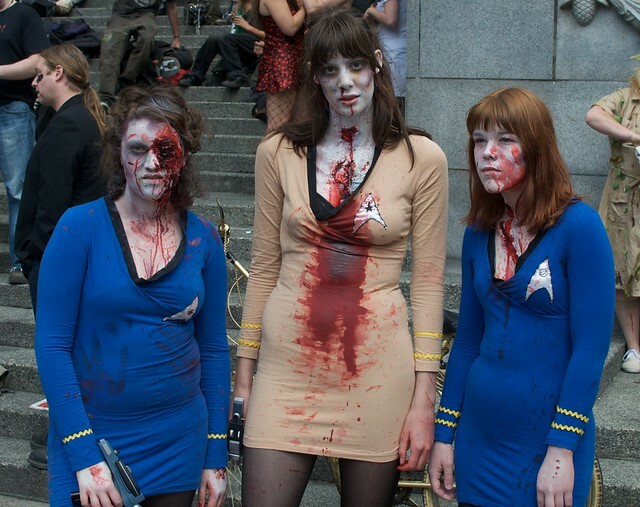 Details: Assemble at the Vancouver Art Gallery steps at 3:00pm and hit the road by 4:00pm. The group will walk around the gallery to Robson until Denman then turn left toward English Bay. There will be an after party at Club 23 West Cordova. Read more on the official event Facebook page. Details: The walk will make its way to the White Rock Pier form the starting point. There will be prizes for best costume and participants are asked to bring non-perishable food items for the Sources Food Bank. The route will be shorter this year to make it more family-friendly. Read more on the official event Facebook page. 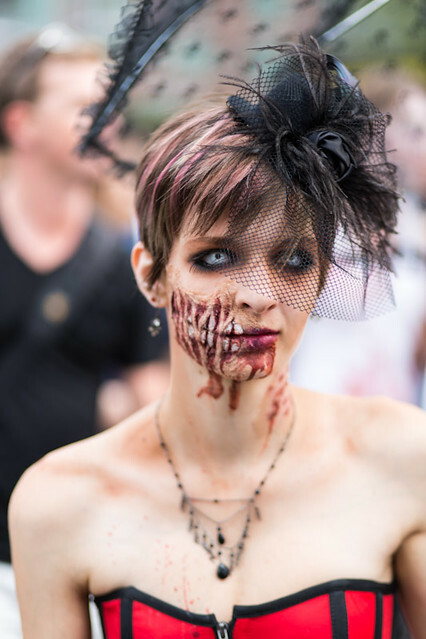 Zombie walk etiquette dictates that participants should shuffle along in character but refrain from disturbing passersby who do not wish to be engaged. Be sure to stay to the route, on public property, and above all have fun.